Editor’s Note: Today I am happy to introduce you to Ana (read a bit more about her at the end of the post), who will take us on a trip to beautiful Prague to see what the niche pefume world there has to offer the discerning Perfumista. Please join me in giving Ana a warm welcome and a big Thank You for this helpful post. If you happen to be around Prague, wandering on its ancient streets, wondering if there is any place you can smell or buy niche perfumes, here is the list. Just a note before we start: all the shops are centrally located, but are quite small, and literally hard to find, so pay attention to the exact addresses if you don’t find them in the first place. All owners are up to date with novelties on the market so you will find new brands in their stores in the near future. Mrs. Rudicova and her husband are the pioneers in this field in Czech Republic. They started their shop in 2004 with the French apothecary makeup brand T. Leclerc, L’Artisan Parfumeur and Annick Goutal. And they had instant success: rice powders by T.LeClerc and natural perfumes sold like gold in the post-communist young market that was thirsty for such luxury products. The name of the shop is inspired by the Place de la Madeleine in Paris, the place where they decided to start this business. One by one they then added the perfume brands: The Different Company, Parfums de Rosine, Floris, Grossmith, Amouage, Carthusia, Rancé, Naomi Goodsir, Jardin d’Ecrivains, Jovoy, and most recently Le Galion and the marvellous cosmetic range Une Nuit a Bali. With exquisite artistic talent and excellent knowledge in the field, Mrs. Rudicova will tell you wonderful stories about perfumes and will for sure find something suitable for you. She strongly believes that the one main thing that differentiates niche and author perfume brands from mass market is the quality of the ingredients that they use. The question she asks is “Where is the truth behind the product, behind marketing?” And the answer is straight forward: “in the passion of the “nose” for the best materials and in the quality of the time”. The shop is intimate and beautifully decorated in a classical style. A new addition to this market, the shop is located on a winding street that brings you to the famous Old Town Square. The moment you enter shop the shop you find yourself surrounded by the largest selection of niche brands in Prague. The owners started their business in the beauty field in the early 90’s in Samara, Russia and are really passionate about perfume. Pavel and Elena will give you interesting details about the people behind the brand, as they know most of them personally. Their approach is warm and friendly, and will find yourself captivated by the stories of perfumes they tell. You can choose from a wide variety from the classical Maitre Parfumeur et Gantier, Houbigant, MDCI, Isabey, Montale, Panouge to more modern like Alyson Oldoini, Atelier Flou, Evody, Franck Boclet, Guilietta Capuleti, M. Micallef or the really young and trendy The Vagabond Price, Viktoria Minya and Jul et Mad. The website also serves as comprehensive encyclopaedia of ingredients, and I do recommend browsing it for improving your general knowledge on perfumes. Their credo and inspiration for naming the shop is “Be an egoist, spoil yourself with high quality perfumes”, so indulge and visit their shop if you are in town. 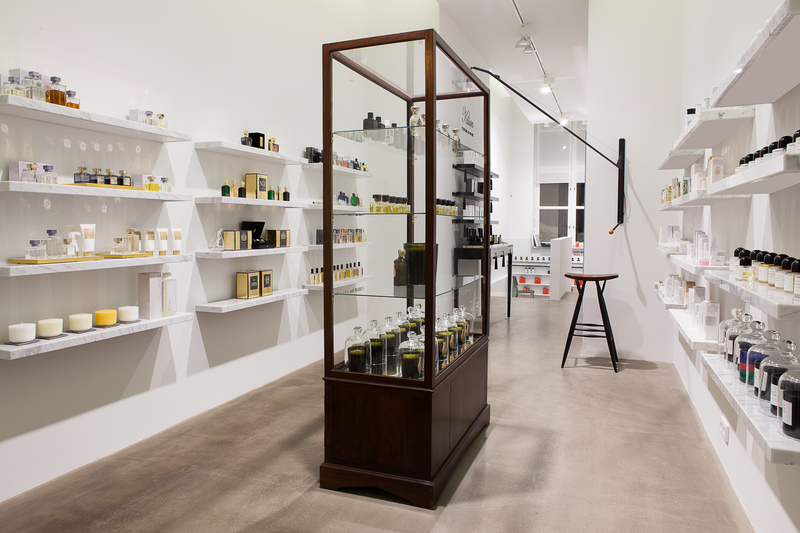 Launched back in 2012, the store has a modern, minimalist approach where the product is king: no superfluous decorations, just perfumes. What you will find in Jakub’s store is a great selection of famous niche brands, creating cohesion with their contemporary brand style. The owner has a long history in the beauty field, starting as a beauty editor for ELLE magazine when he was 18 and then continuing in marketing for luxury brands. It was during these times that he discovered the refined universe of niche perfumery. Jakub has a savvy approach to the store’s promotion, understanding very well the added value of PR. That is why his business is successful and his shop is always full. The idea of strong individuality and coherence is highlighted by that fact all selected brands have a modern, contemporary feel to them . The price range is generous, allowing for all types of clients to find something suitable. You will find resonant names: Dyptique, Francis Kurkdijan, Kilian, Byredo, Amouage, Nasomatto, Histoires de Parfums, Editions de Parfums Frédéric Malle, Aedes de Venustas, Mona di Orio, Comme des Garcons, LM Parfums, Boadicea The Victorious, Clive Christian or Escentric Molecules. There are also cosmetic brands such as Eve Lom, Sisley, Aesop, Egyptian Magic, the Super Elixir dietary supplements or candles from Cire Trudon. Ingredients is among the few shops around the world to stock both fragrances for women and men by the French luxe brand By Kilian. You can tell Jakub is a connaisseur by the way he talks about perfume, underlining the importance of quality ingredients, and therefore naming his shop similarly. He believes that in order to create a great perfume, a “nose” must be both a great chemist and an artist. And there is more coming up: there will be a whole floor dedicated to cosmetics starting in June 2015, so don’t miss Ingredients if you visit Prague. 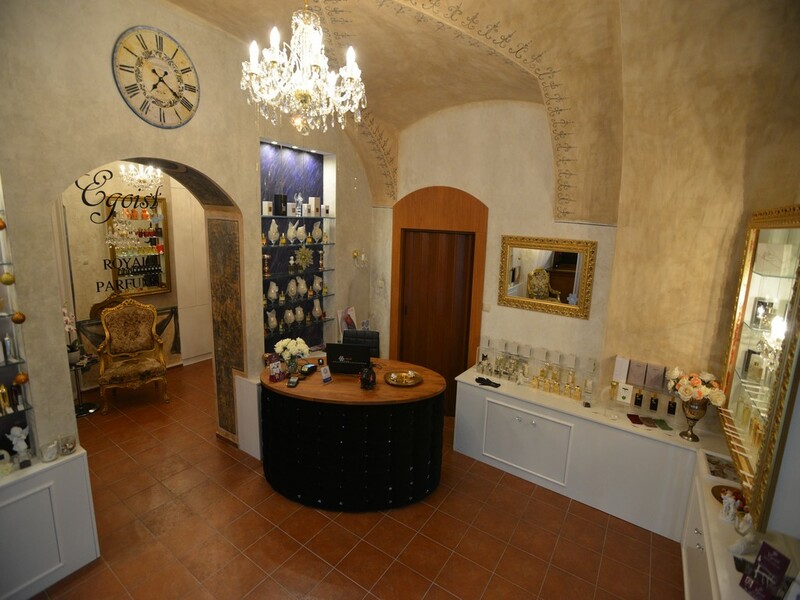 Opened in September 2014, Royal Perfumery has the most accessible location, on the commercial street Vaclavske Namesti. The shop is small, but elegant and both the manager, Diana, and the sales personnel enjoy talking to their clients and sharing the perfume stories. In fact they take training very seriously. Understanding and feeling the brand is crucial for introducing the right brand to the right type of client, Diana mentioned. 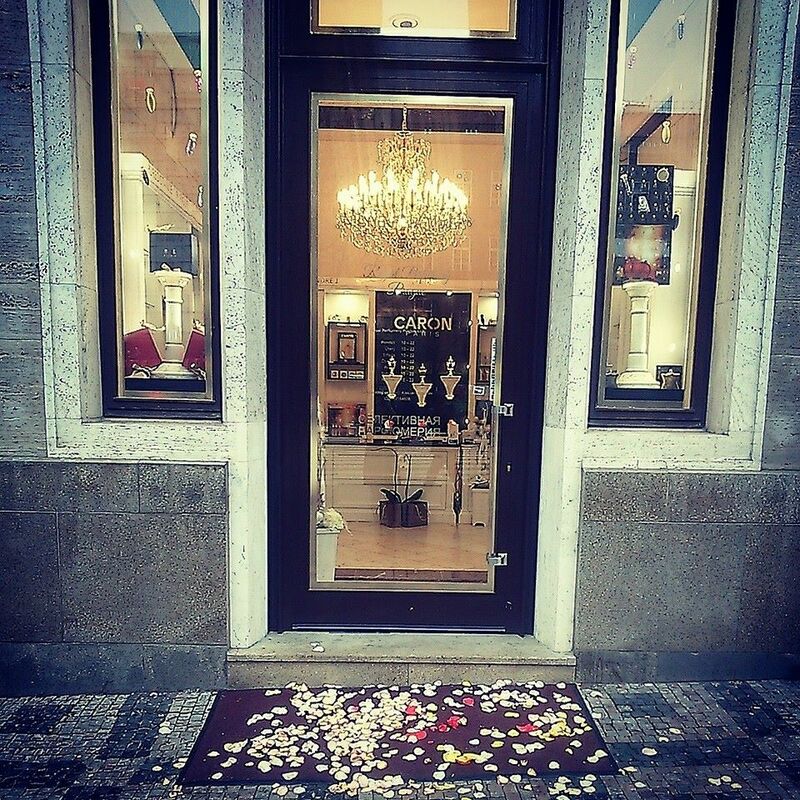 At the Royal Perfumery you will even find the rare and spectacular perfume fountains from Caron. The selection of brands is eclectic, so chances are you will find a fragrance that suits you: Puredistance, Caron, M. Micaleff, House of Sillage, Bond No.9, Tiziana Terenzi, Robert Piguet, Giulietta Capuleti, Cuarzo Ramon Bejar, Alexandre J, Paul Emilien, Houbigant, Taylor of Old Bond Street and Floris. The name of the brand is meant to be cross cultural and appeal to all potential clients, both locals and tourists. The opening hours are generous, you can drop by 7 days a week until 10 pm in the evening. I hope you will enjoy your stay in Prague and pay a visit to at least some of these niche brand perfumeries. If you have already visited, please let us know about your experiences. My name is Ana-Maria. I am a perfume lover, fascinated by the sense of smell. Ever since the first time I walked into a niche perfumery 8 years ago, I knew this was going to be a long love story. What I enjoy most is finding out new stories about scent and sharing them on my blog smell-spell.com. I am a perpetual discoverer in the field of quality, memorable and beyond fashion perfumery. I believe in “slow scent”, in taking the time to choose a fragrance, in allowing the natural steps to happen: listening to the story behind the brand and the perfume, smelling, trying on, feeling and only after that buying. I am Romanian, living in Prague with my family. This entry was posted in Shopping, Travels and tagged Fragrance, Perfume, Prague, shopping. Bookmark the permalink. Hi Ana-Maria! Nice to meet you! Thank you for the guide: I hope to use it one day (hopefully soon) since I always wanted to visit Prague. Hello and thank you for your remarks and for visiting my blog. It seems I am doing some touristic promotion around here :), but it is definitely a reference city for Europe. Thank you for that lovey post. I have not been to Prague for more than 15 years…may be I should think of changing that. Looking forward to your visit Sandra! 🙂 Thank you. Hi Ana-Maria! Wow wow wow… Gosh I love Prague so much, but I would love to go back armed with this article and have a wander around. How wonderful. I also like your terminology of ‘slow scent’, and your blog looks very interesting. Nice to ‘meet’ you and thanks for the article. Tina thank you so much! Prague is a beautiful city and I wouldn’t live anywhere else. It has a great combination of lifestyle, peace and quiet, and affordability. As for my blog, I am working on a face lift so, keep close:). Welcome to OT Ana-Maria! Thank you for your wonderful post. Like Undina, I have wanted to visit Prague for a very long time. Now I have an extra incentive to go. All the perfumeries seem to have something different to offer and such passionate owners too. I like the way they tend to stock cosmetics as well. All the best for your blog – sounds great. Thank you Tara for the kind words! Yes, 3 of them stock cosmetics- and one of them will have an entire floor of these launched June, I’ll keep you updated. Thank you Annette! Naomi Goodsir is quite a find- when I last visited about a month ago, they had already brought her newest, Or du Serail. It is tabac with notes of plum. I think it will be next on my list:). Thank you so much for this post. My husband is going there for a conference in August and I was in two minds about going with him (a long way from Australia!) but it seems to be a more interesting destination than I had thought…even the buildings are stunning! Yes Jackie, the architecture is fantastic and the buildings are well kept. Don’t hesitate if you have a choice of coming, you will enjoy it. August is still lovely here, compared to autumn , so go for it. Thanks for this great overview of Prague’s perfumeries, which will be a useful reference for fumeheads visiting the area. And such lovely photos too! I have been to Prague a few times, both for work and pleasure, but only once since I seriously got into perfume – 7 years ago in my case. On that visit I only got to see a Starbucks and a big Tesco on the ring road. Vanessa, next time you come, you should definitely visit these shops, are at least some of them. Everyone speaks good English and they are very welcoming. Prague is fabulous, what a city. When we were there in 2013 we saw none of the ones you mention (that were open at the time). we did stumble across a couple of Niche stores but I can’t remember much except one was owned by a larger than life Russian man who had a really great selection. Jin’s favourite thing about the Czech Republic is your cuisine, he ate like there was no tomorrow. This is such a helpful post, thanks a lot Ana-Maria! Prague is one of my favorite cities and now I have one more argument to go there again. Hi Anka, it is a lovely city plus the prices are moderate. :) Defintely worth a visit. 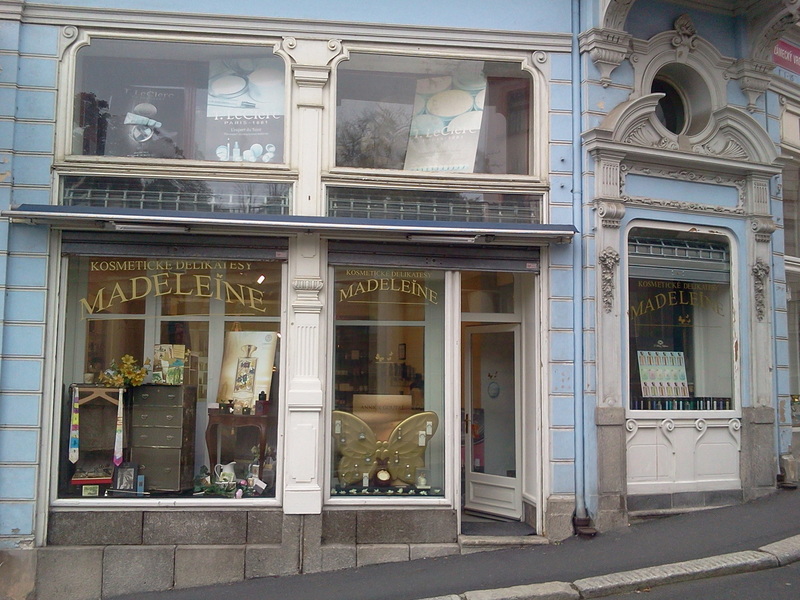 Thank you so much Ana-Maria for this fascinating trip around Prague niche perfumeries. I live in the neighborhood as I’m Polish but it’s been a while since I visited Prague last time. The next time I’m there, i will definitely pay attention to visit at least one of the mentioned places. I love the minnimalistic look and white walls with white shelves of Ingredients, reminds me of style of one of the niche perfumeries in Warsaw. It was actually a pleasure to write this. :) Thank you too. Ingredients is the coolest of them, but that fact that most of them have various brands is a big plus. Wonderful photos – I’d like to visit them all! I also enjoy your blog and how you approach perfume selection. Thank you! Hi! Thank you for the kind words! Please, do come and visit. great information for planning a visit, Prague is so fascinating. Hello Lucy.It is indeed beautiful. Unfortunately, the first picture is not from Prague. This is Karlovy Vary. Hello Dzona, I think you are right. These are the pictures the owners supplied and I know they also have a shop there. However, the facade of Madeleine is quite similar to the one in Prague. Hi there. You should definitely come visit! I have just been to Dresden in November and was impressed by the Zwinger and its collection. Hello,Ana Maria!I’m a Romanian Ana Maria too,a fellow perfume lover and I live in Dublin.I just wanted to say Hi,and I’ll definitely drop by your blog.Thank you very much for the great article.☺! Salut Ana! Happy to hear that! And thank you for commenting over here. 🙂 Pe curand, sper. Hello Ana-Maria! 🙂 Lovely write-up going on here. The niche perfume scene in Prague has exploded considerably since my last visit to it in summer of 2012… I only wish I’d seen all of these perfume retailers then! Thank you! Well, maybe it’s time to revisit soon:).